The American public is far more aware than the elites believe them to be. When will they ever learn? 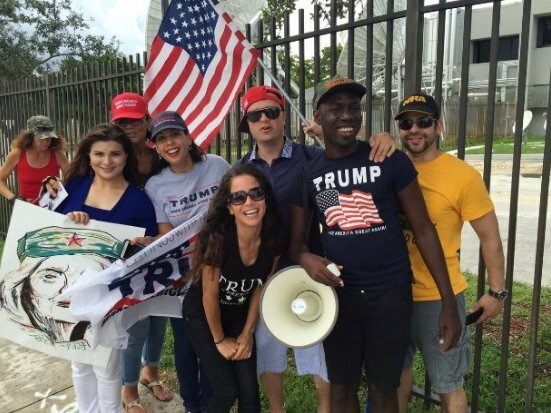 The much maligned Trump supporters are neither blind, stupid, nor easily manipulated. In reaction to Charlottesville, feckless talking heads, pundits, and CEOs fell all over themselves in order to prove that they were not racists & could no long defend, support, nor work with the (racist?) President. How predictable. Following are some recently exposed facts, among many, that raise red flags and expose the true nature of Antifa. “The organizer of the violent rally in Charlottesville, Virginia, was until recently a Barack Obama supporter and was also a member of the leftist radical Occupy Wall Street Movement, according to a report from a hard-left activist group. The details from his recent past have many in the blogosphere and on social media asking: Is the Charlottesville rally organizer really a left-wing plant? About the man who ran down protesters with his car:. On August 12, a driver drove his vehicle into a crowd of “anti-racist” protesters, killing one woman and injuring 19 other individuals. The suspect has been identified as James Alex Fields, Jr.
Citizen researchers have slowed the video down and spotted an African American individual hitting the car with what appears to be a baseball bat before the suspect hit the crowd with his vehicle. One such video posted to Streamable shows the driver slowing down, then accelerating quickly after his rear bumper is struck with the baseball bat. Apparently they were expecting some white racists to show up in protest for a funeral? They came armed & ready, for nothing and only served to upset the woman’s family. No matter, they had to have their moment. Now that the dust has somewhat settled, facts, which were initially ignored, are beginning to emerge which bring on many questions. The true character of the left can no longer be rationalized. They are largely confused and unhinged because of extremist ideology, or simply support anarchy and chaos and offer no real solutions. Of course their sugar daddy, Ole George, keeps them well funded to serve his own agenda. A brief perusal will reveal that indeed, the Antifas are the true fascist. Do they understand this? The following post should be a real eye opener to those who seek to fool by spreading lies, anarchy and chaos. (Via AP) […] Some Republican members of Congress have criticized Trump’s back and forth response since a car slammed into a crowd of counter protesters in Charlottesville, Virginia, killing a woman and injuring 19 other people. Trump’s insistence that “both sides” bear responsibility for the violence has sparked anger among many Americans. But many of the people who helped elect Trump seem unfazed by the outcry over his statements concerning the protest and counter protest over removing a monument to Confederate Gen. Robert E. Lee. ♦ “I WOULD VOTE FOR HIM AGAIN IN A HEARTBEAT” – In Sun City, Arizona, a retirement community and Trump stronghold north of Phoenix, 80-year-old John Libby said nothing the president has done since Election Day has changed his support for the man. 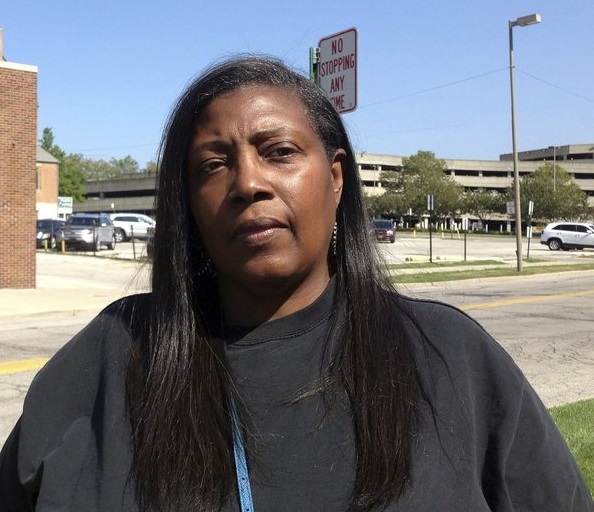 ♦ “HE HAS DONE NOTHING TO TURN ME AWAY FROM HIM” – Patricia Aleeyah Robinson, a retired truck driver from Toledo, Ohio, said her support of Trump has cost her friendships and strained family relationships. But like many of the president’s most passionate supporters, the 63-year-old black woman said her opinions about Trump have not changed since his response to the violence at the Charlottesville rally. “He has done nothing to turn me away from him,” said Robinson. She said he doesn’t defer to racists and feels he is the only president who has ever spoken directly to blacks. ♦ “WHY CAN’T I BE PROUD OF MY HERITAGE?” – Steven Damron, 50, a Trump supporter from Spring Hill, Florida, said he agrees with Trump that both sides in Charlottesville were to blame for the violence. He thinks the president has handled the aftermath well, but believes he should also have singled out groups on the left — such as Black Lives Matter — the way he did with the KKK and neo-Nazis. ♦ “HE SPEAKS HIS MIND” – Wyoming construction contractor Richard Mathern said he voted for Trump because of his business experience and wasn’t fazed he hadn’t spoken out more forcefully against the weekend violence. “Trump, he speaks his mind, there’s no doubt about that. It does tend to tick people off,” Mathern said during a break at a home nearing completion in Cheyenne. “There’s a lot of hatred down there (in Charlottesville) … But tearing down historical statues is not the answer,” he said. Ordinary people, average Americans, those living without hyphens from coast to coast, can see right through the media manipulation. Go here for another short video, more pictures, and many comments from those who see through the MSM manipulation.